Cowabunga | Is This Too Spicy? 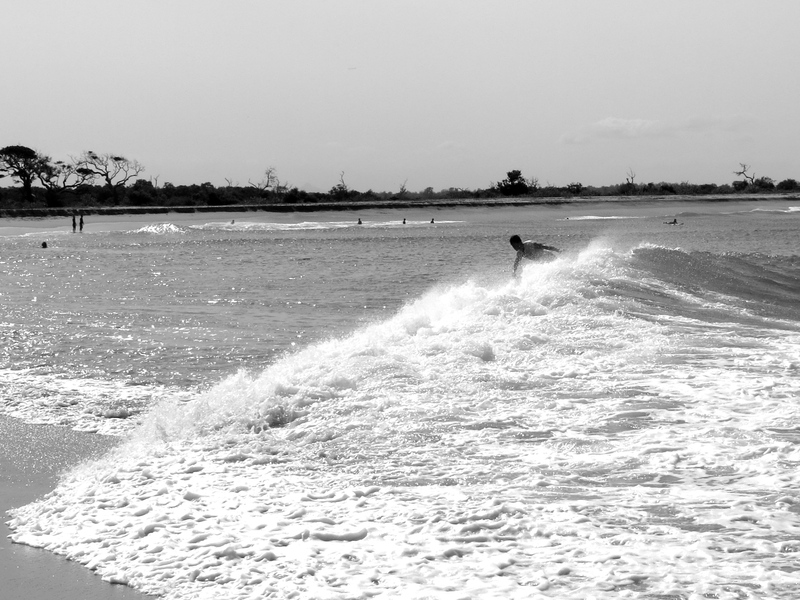 Last weekend we made the pilgrimage East to the surfing mecca of Arugum bay (aka A Bay). 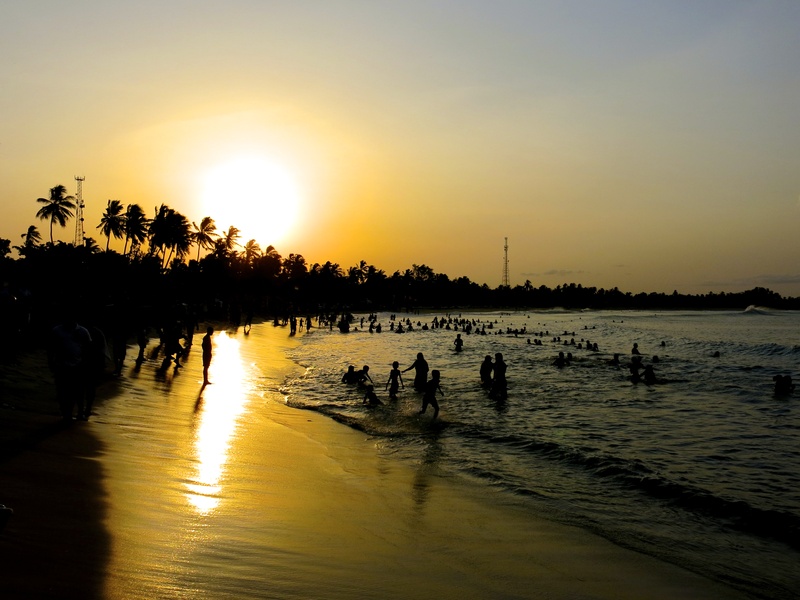 While going South involves clear highways and sloppy waves, going East is traffic pandemonium and perfect waves. The trip across the country is 310 km, that 310 km takes 8 hours. It takes 8 hours because the road is a two lane goat track that winds through every single village along the way. However, this does not mean that there is a uniform conscientious approach to driving. Buses think it’s a 6-lane highway and will overtake two abreast around blind corners. A bus slamming to a halt without brake lights to pick up passengers is particularly treacherous for the tailgating traffic that follows close behind. Motorbikes don’t believe in indicators, giving way or the existence of a blind spot so they just tear onto the main road. Tuk tuks think they are semi-trailers and hog the road at 40km per hour. Cows think the road is a pasture and sometimes a bed. Dogs think it’s a toilet. Luckily we had some savvy local experience to guide us most of the way there, before we put our lives in the hands of the Sri Lankan bus system to take us the final leg. We needed to catch two buses to get to A Bay. The first was a mini bus chock full of people, so I stood, well sort of. 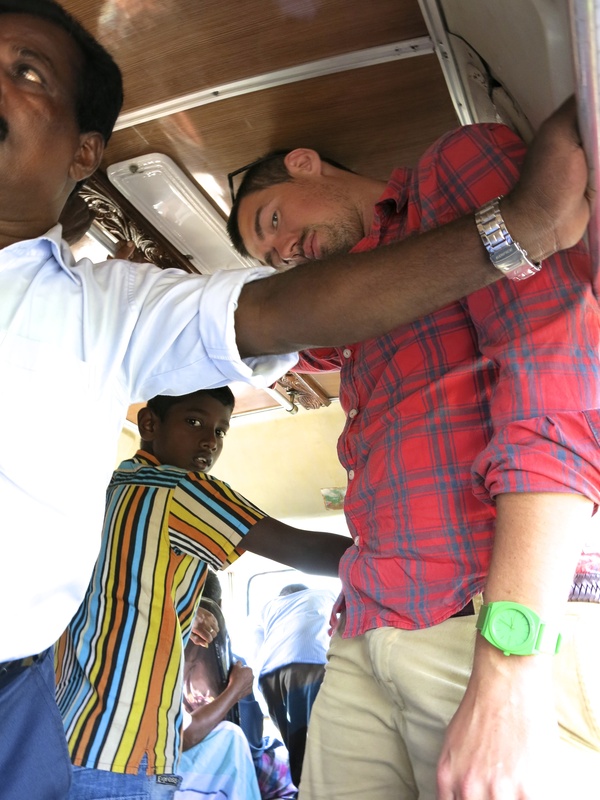 Ok, I had to wrap myself around the inside of the bus just to fit which was much to the amusement of all 5-foot Sri Lankan passengers. Our second bus tried to break the combined world record for the fastest bus carrying the most people – I think it got pretty close. 8 hours later we survived/arrived. We sat down to lunch at a cafe. A small weathered local man wearing nothing but a faded sarong asked us what we wanted for lunch “Whad cha wanna eat mate?” – his Aussie accent far stronger than mine. Apparently the surf spot at Arugum bay was found by a bunch of Aussies who kept it secret for as long as they could and taught the locals how to surf, speak English and drink Milo. Arugum Bay is in the dry season at the moment so the weather is warm, less humid and the winds blow off shore all day long – bliss. We hired a board and spent the day surfing the break at ‘Elephant Rock’, a perfectly fun two foot ride. After exhausting ourselves on the waves we walked to the main point to check out the real surfers. Walking north to south, at the middle of the beach you first come to ‘Inside Point’, which is the nursery for beginner surfers. Twenty people falling off their boards all at the same time looked strangely similar to the traffic on our road trip to get here. 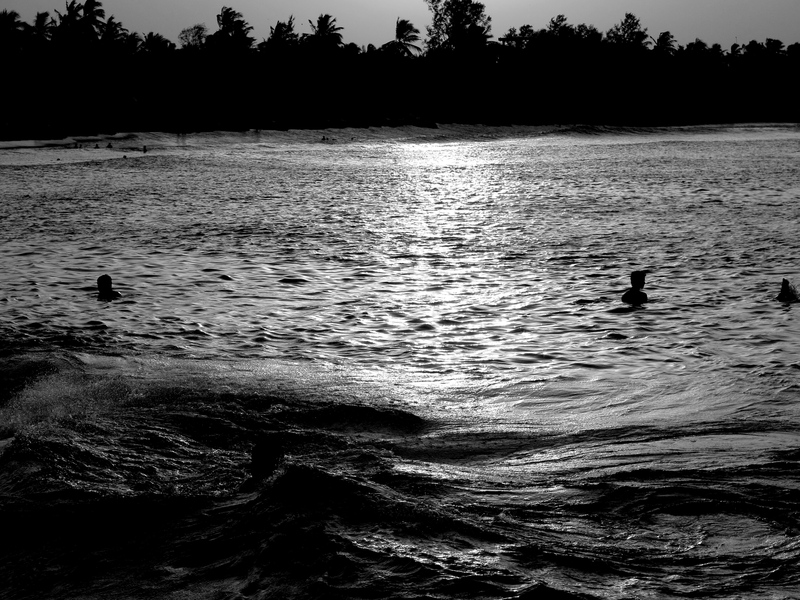 Continuing past ‘Inside Point’ in the protected southern corner of the bay, a virtual lake is formed which is hugely popular with the locals, who in true Sri Lankan fashion, swim with all their clothes on. The ‘Main Point’ is a point break over coral that breaks on the southern end of the bay producing a hollow fast right hand break – apparently one of the top 10 waves in the world (according to the locals). This is where the real action is and we treated ourselves to a surfing showcase from the local and expat gurus, before turning in and starting the long journey home. 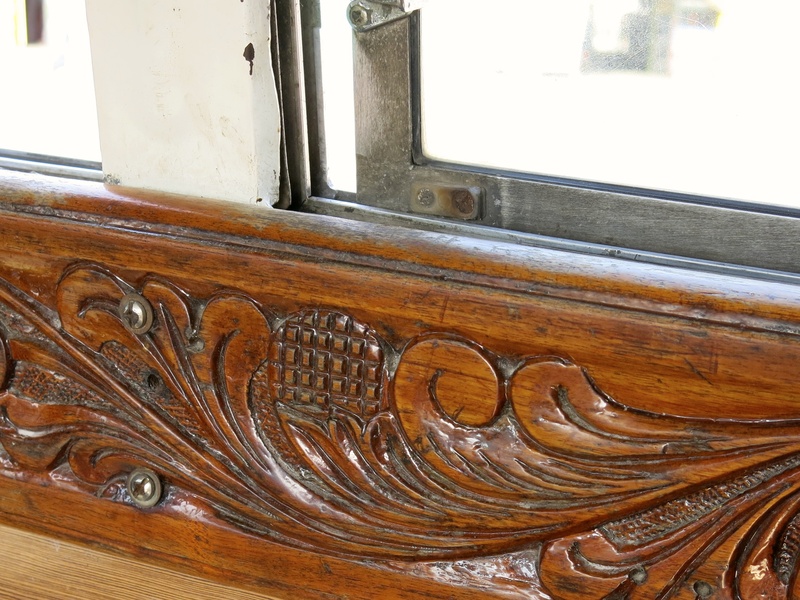 31 May	This entry was published on May 31, 2013 at 11:08 am. 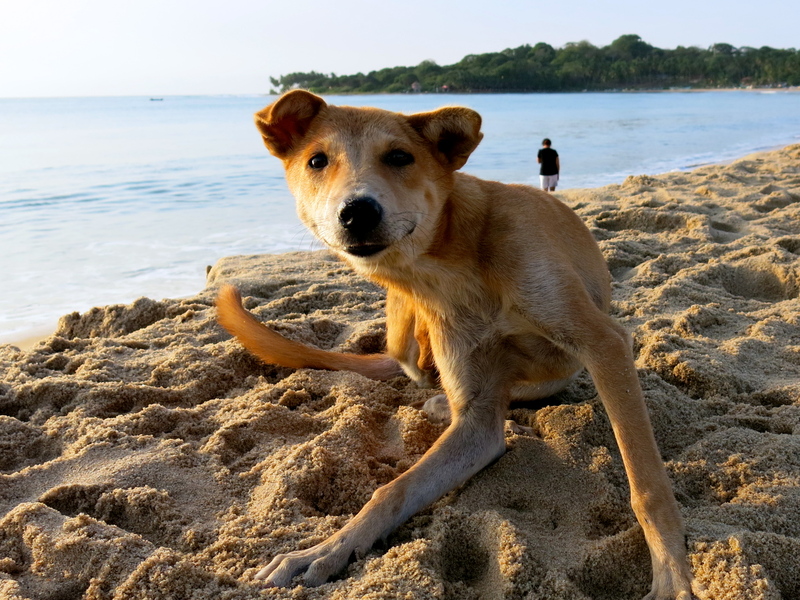 It’s filed under Photography, Travel and tagged Beach, dog, Sri Lanka, Sunset, surf, Travel. Bookmark the permalink. Follow any comments here with the RSS feed for this post.